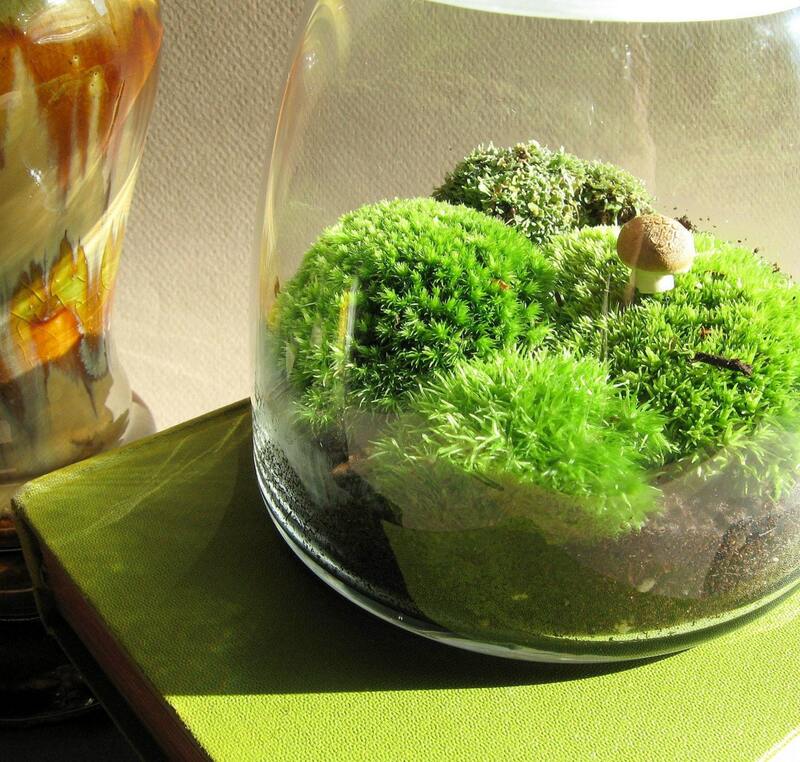 Ana of Made by Mavis makes these awesome little moss terrariums! Tell me about how you originally got into your craft, Ana. I have always enjoyed being around nature. Something in my blood makes me want to make pretty things. I started making them a long time ago as little ways to remember the fall when the cold winter was about to hit. My fiance thought that I was a little nuts when I said I was going to sell "moss in a jar" and here I am now. Shop! I love to shop for anything and everything! Promotion would be the biggest challenge. Only because it is hard to find ways to promo that are worth your time. I love this one terrarium because of the great cupcake stand. I think it makes a great statement in any room I have placed it in my home. I wanted to be a number of things, in fact I am still trying to figure out what I want to do. I wear many hats and hope to keep it that way. I hope to branch out a little more from my beloved Etsy and get my website completed. I have a ton of new ideas coming in the near future so be sure to check out my shop!